SOLD in 33 Days for 99.6% of List Price. Solid 1960's 6-BR bungalow w/basement on a large 4000sf lot (41.7'x95.93') in ultra-convenient location in the heart of Collingwood, just steps from SkyTrain & shopping along Kingsway. Located on a nice block & on the high-side of street w/some mountain views. Home is in need of TLC & is awaiting your renovation ideas to be fully restored. 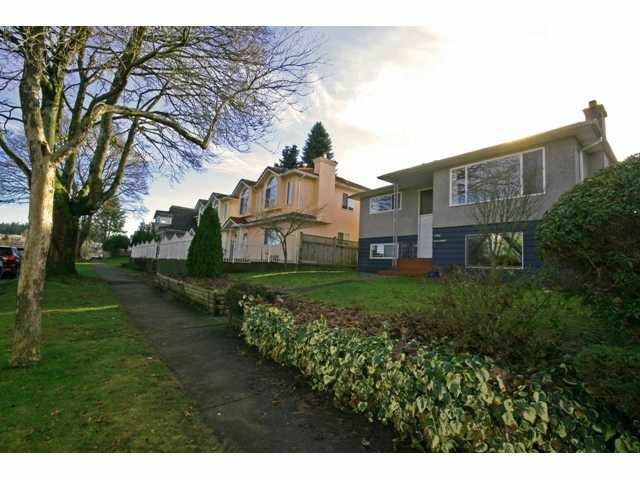 Or re-build up to 2800sf + 640sf laneway house. Spacious & functional floorplan w/3BR's up + a LEGAL 3BR suite down (still connected, but w/separate entrance). Wood-burning f/p. Detached double garage. Newer roof (approx 2008), furnace (2012) & HW tank (2014), some newer vinyl windows. Great possibilities here for a larger family and/or extended family to share.